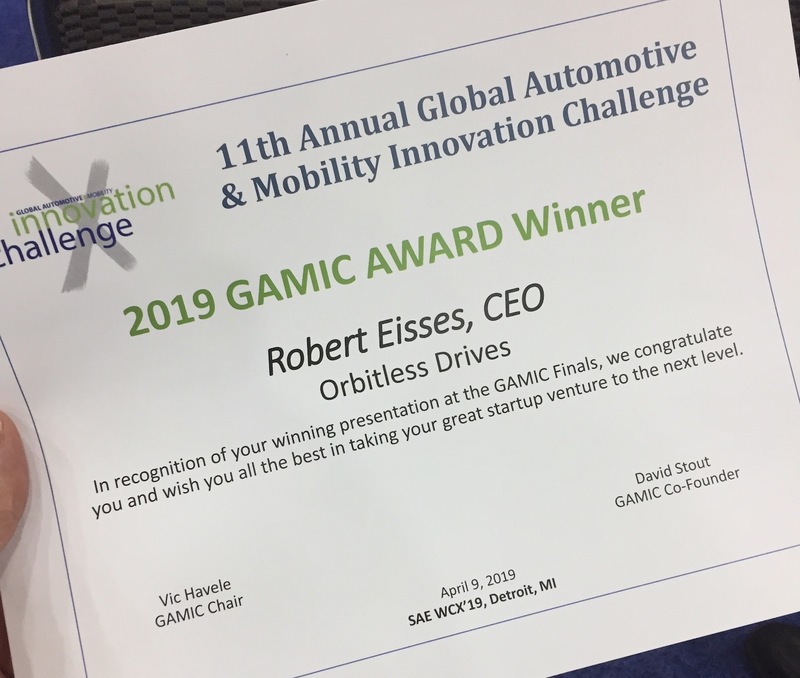 Orbitless is pleased to announce its win at the GAMIC Finals (www.gamicevents.org) at SAE WCX #wcx19. The win in Category 1: Vehicle Electrification, V2X and Advanced Mobility, further validates how Orbitless drives are poised to benefit OEMs as they move to electrify their fleets. From actuators that move the seats, sunroof and doors, to new EV Powertrains, any electric motor application can benefit from the low noise, low #NVH and higher efficiency that an Orbitless Drive delivers. We would like to thank the GAMIC team, all our mentors, partners and supporters as we bring this novel technology to the market.